The UK government unveiled a plan to make the country a low carbon emitter. The plan, announced by energy and climate change secretary Ed Miliband, details how the country will meet its domestic climate targets, set out under the climate change act, to cut emissions by at least 34 per cent by 2020 on 1990 levels. The goals include supporting 1.5 million houses to produce their own energy and deriving 40 per cent of the country's total electricity from low carbon sources like the renewables and nuclear. Carbon capture and storage technology will be used in coal-fired power plants. 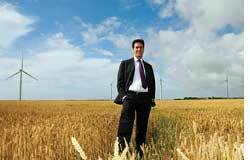 Miliband said this will help reduce gas imports by 50 per cent. To achieve the target, the government pledged US $740 million for renewable and clean energy technologies.It also published the low carbon transport plan detailing how to reduce emissions from transport by up to 14 per cent by 2020. Three Kenyan hiv/aids patients pleaded with the country's Constitutional Court to declare the anti-counterfeiting act, 2008 illegal. The act could deny them access to generic medicines and thus rob them of their right to life, they said. The act is aimed at cracking down fake batteries, cosmetics and drugs flooding into the country. But health activists say the way the act defines counterfeit drugs is vague; it could include generic drugs and interfere in their import and sale. This will affect the patients who usually depend on generic drugs as those are up to 90 per cent cheaper than their branded counterparts. "Generic drugs are a legitimate copy of their brand-name original. They are not counterfeits," the patients said. The act has drawn the attention of health activists from across Africa because it is being used as a model for similar anti-counterfeiting bills in Uganda, Tanzania and other African nations that are flooded with counterfeit goods and also have a high number of hiv/aids patients who rely on generic drugs. China accused Australian mining giant Rio Tinto of bribing virtually every one of China's big steel makers to get access to confidential industry data. The allegations, published in China's state-owned newspaper, China Daily, came to light in early July when the authorities detained four Rio Tinto employees, including an Australian, on suspicion of industrial espionage, stealing state secrets and harming the nation's economic interests and security. The news report said Rio Tinto employees had bribed executives from 16 Chinese steel companies to gain access to government documents to obtain secret information on China's position on iron ore prices. Rio Tinto, the world's third largest mining company, clarified that the company follows strict ethical codes that forbid bribery and that allegations against its officials are unfounded. Legislators of the US state of Colorado voted to amend a 19th century law and legalize rainwater harvesting. But not for all. The amended law allows only those who have private wells or do not receive municipality water to harvest rooftop rainwater. Advocates of rainwater harvesting say given these restrictions most urban dwellers in Colorado cannot harvest rainwater. Under the previous law, rainwater belonged to those who bought the rights to waterbodies and hence could not be harvested (see 'Privatized rainwater', Down To Earth, April 1-15, 2009). Bayer AG, the world's largest producer of endosulfan, pledged to stop producing the pesticide from 2010 onwards. As per letters exchanged between the company, headquartered in Germany, and the Coalition Against Bayer Dangers, a network monitoring Bayer for 25 years now, the company said it would "progressively replace the products" that the World Health Organization classifies as extremely and highly hazardous pesticide. Sixty-two countries, including 27 in the EU, have already banned the pesticide. Earlier on July 7, activists held demonstrations in 16 countries under the campaign Pants to Poverty, where they exchanged their pants for a free organic pair to show how the pesticide harms farmers who supply cotton to make clothing. Endosulfan is a neurotoxin. It also disrupts the endocrine system and can result in birth defects. 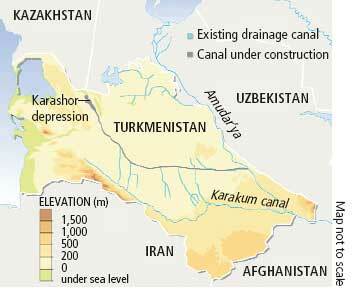 Turkmenistan has embarked on a grandiose plan digging a lake, dubbed Golden Age Lake, in the heart of the Karakum desert. Engineers have started pumping water from a network of canals that irrigate cotton fields across the country to fill the natural Karashor depression in Karakum. At the opening ceremony, President Gurbanguli Berdymukhamedov said "the lake would make the desert bloom". Turkmen leaders said the lake would stimulate biodiversity and attract migratory birds to the country that is 80 per cent desert. Once completed, the lake, spread over 200,000 hectares, is supposed to hold 130 trillion litres of water. Filling it could take 15 years and cost up to US $4.5 billion. Critics say the plan is destined to fail. They point out that much of the water pumped into the searing desert will evaporate. Insecticide and fertilizer-contaminated run-off water from cotton fields will render the lake water toxic, they said. Tanzania has banned the use of water from the Tigithe river saying the river may have been contaminated with sulphuric acid used by Canadian company Barrick Gold in its gold mine in Tarime district. The announcement came two days after Tanzanian officials began investigating allegations that the mine's tailings dam, where wastewater from the mine is stored, is leaking sulphuric acid into the Tigithe. Thousands of people in northwestern Tanzania depend on the river. Local residents complained that since early June, 18 people and 270 heads of cattle have died after drinking water from the Tigithe. Human rights activists have called on the government to close down the gold mine until a full analysis of the water has been done. 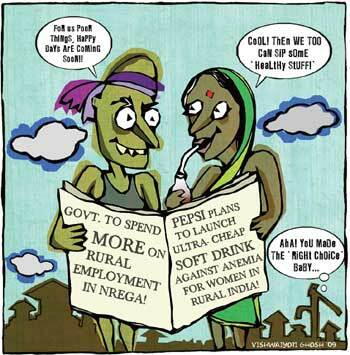 Meanwhile, the villagers find themselves without water; the government has not provided them with a safe alternative. Authorities in Brazil were left fuming after they discovered 1,400 tonnes of toxic waste, illegally imported from the UK, is docked at three ports since early this year. The 89 shipping containers, under the label of recyclable plastic, included toilet seats, used syringes, old TV sets and computers. President of the Brazilian environment agency, Ibama, said Brazil is not the world's dump and requested the UK to take back the trash. The UK has agreed. Brasilia has, meanwhile, slapped a fine of US $419,000 on the three Brazilian companies that imported the shipment. Ibama has also said the incident has violated the UN-administered Basel Convention that came into force in 1992 and bans shipment of toxic waste from industrialized countries. The US Environmental Protection Agency (epa) is preparing new rules that would bind mining companies to pay for environmental clean-up, even if they file for bankruptcy. The announcement follows a federal court ruling in February that had asked the agency to close loopholes that allow companies to pass the clean-up expenses to taxpayers. To start with, the agency is developing rules for industries that mine hardrock minerals such as copper, gold, iron and uranium. The agency's announcement came a day before the Senate heard proposed changes to a 137-year-old hardrock mining law. The US government plans to revise the 1872 mining law to bolster environmental restrictions.